In January of 2010, the state of Florida experienced a cold-stun event significantly larger than any in US history. Multiple species were affected, including manatees, reptiles, tropical fish, and even farm crops throughout the state. Over 4,500 cold-stunned sea turtles were found in all coastal regions of Florida, including the Keys, far surpassing the previous record for a single cold-stun event of 400 turtles in 2001. 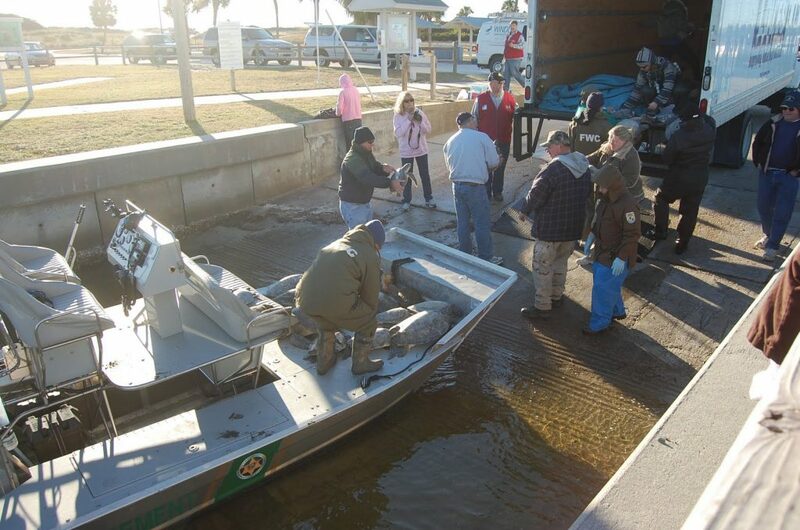 In coordination with FWC, local residents, University of Florida turtle research group, volunteers from St. Joseph Bay Buffer Preserve, the Apalachicola National Estuarine Research Reserve (ANERR), and the U.S. Fish and Wildlife Service several days were spent searching the marshy shorelines to bring the stunned turtles to safety. 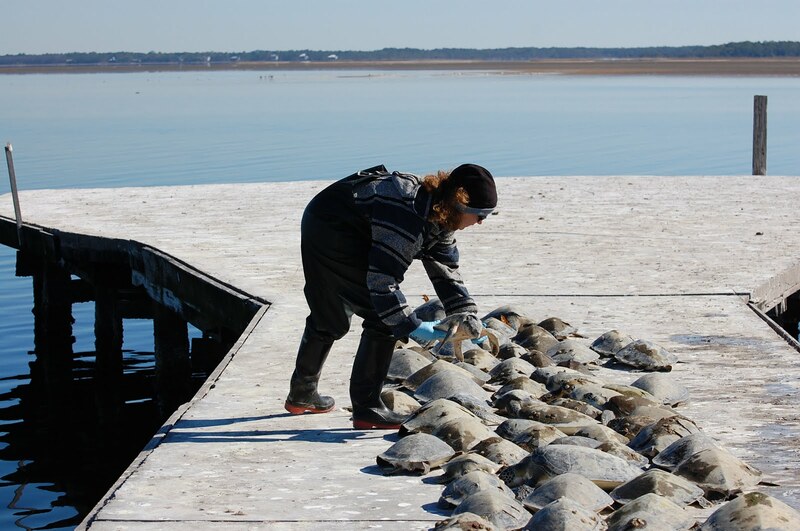 Approximately 1800 cold-stunned turtles were found in St. Joseph Bay, an area stretching roughly 15 miles wide in the Florida Panhandle. Gulf World Marine Park responded to and received all 1800 turtles from this area. Once the cold-stunned turtles were brought to Gulf World they were placed in warm salt water to bring body temperatures back to normal. Each animal was thoroughly examined for injuries, measured, weighed, and tagged with a unique identification number. 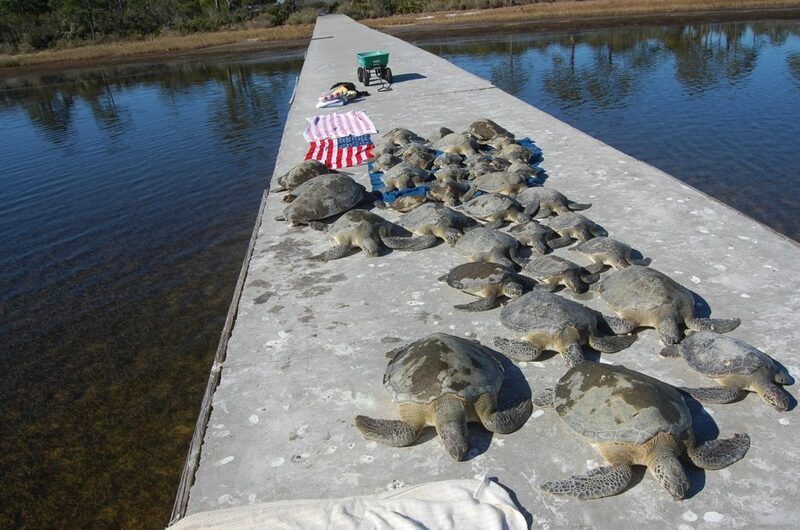 With the help of the U.S Coast Guard and the Navy, 1268 turtles were released offshore to warmer waters. Subsequent cold stunning events came in the following years. December 2010 saw record low temperatures for the second time that year, and GWMP rescued and released 80 cold stun turtles. In January of 2011 water temperatures in St Joseph Bay dropped into the 40s triggering the another cold stun event, removing two hundred and forty-two turtle from the bay.